We're super thrilled to be joining Hempfest Canada's journey across several provinces this year. Throughout each province #TeamCanndora will be exhibiting at each of the Hempfest Canada's Expo and showcasing our beautiful cannabis accessories from Canndora and our partner brands. 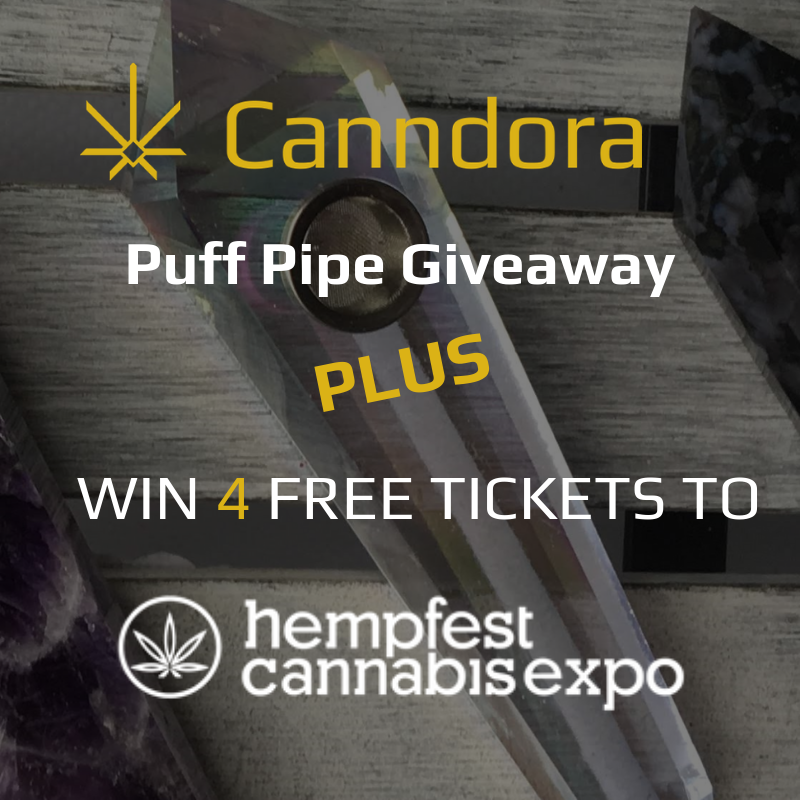 Click below and enter for a chance to WIN one of our popular Canndora Quartz Puff Pipes as well as 4 FREE tickets to visit Hempfest in Edmonton. Congratulations to Jen. D of Winnipeg! She's WON 4 Tickets and her choice of a Canndora Quartz Pipe!